Student filed his request for a due process hearing (complaint one) on March 18, 2013, in OAH case number 2013030785. On April 2, 2013, Student filed another request for hearing in OAH case number 2013040122 (complaint two). On April 16, 2013, OAH issued an order consolidating complaint one and complaint two. 1 On May 29, 2013 after the hearing began, Father asked for a short continuance due to Student’s recent illness and seizure activity. The hearing was continued until May 30, 2013. 2 When Ms. Keicher testified, Shelly Ota, a special education coordinator, took her place as District’s representative. 3 Student’s Closing Brief has been marked for identification as Student’s Exhibit 27, and the District’s Closing Brief has been marked for identification as District’s Exhibit 57. 4 The issues are listed here as set forth in the Order Following Prehearing Conference (PHC Order). To the extent that either party raised issues in their closing brief not listed in this decision, they are not considered. At hearing, oral and documentary evidence were received. At the close of the hearing, the matter was continued to July 1, 2013, for the submission of closing briefs. 3 On June 27, 2013 Student filed a motion to admit supplementary evidence. On July 1, 2013, the District submitted an opposition to the motion. On July 1, 2013, both parties submitted their closing briefs, the record was closed and the matter was submitted for decision. I. Did the District unilaterally predetermine Student’s individualized education program (IEP) in an IEP offer dated March 29, 2012, which denied Student a free appropriate public education (FAPE)? II. Did the District deny Student a FAPE at an IEP team meeting on May 31, 2012, by denying Parents’ request for home-hospital instruction because of Student’s medication? III. Did the District deny Student a FAPE for the 2012-2013 school year (SY) by not providing him with home-hospital instruction and related services following an August 29, 2012, agreement, that it would do so? Student has asked for remedies that include placement at the District’s expense, including transportation, with a non-public agency (NPA) specializing in serving children with Autism, chosen by Parents. Student also asked for reimbursement for the costs of an alternative program consisting of 100 hours per month of one-to-one applied behavior analysis (ABA) delivered in Student’s home. Student contends that the District denied him a FAPE by predetermining its March 29, 2012 IEP offer; failing to place him on home-hospital instruction through the May 31, 2012 IEP offer; and, failing to implement the home-hospital instruction, and related services, provided for in the August 29, 2012 IEP. The District contends that it did not predetermine the March 29, 2012, offer of placement and services and Parents prevented it from finishing the February 16, 2012, IEP team meeting by refusing to return to a meeting to complete the IEP. The District also contends that it did not err by failing to put Student on home-hospital instruction at the May 31, 2012, IEP team meeting because the District did not have proper physician support for home-hospital instruction. The District agrees that it did not provide Student with some of the services outlined in the August 29, 2012, IEP amendment, but contends that Student’s schedule prevented it from providing some of the services and that it is willing to make up some of the services missed. Finally, the District contends that Student was only eligible for home-hospital services through November 29, 2012, and not again until February 2013. 5 The invoices have been marked as Student’s Exhibit 26. On June 27, 2013, after the hearing was completed, but before the record was closed, Student made a motion to admit supplementary evidence. The supplementary evidence was attached to the motion and consisted of three invoices consisting of insurance co-payments for certain ABA services Parents privately obtained for Student in the months of July 2012, August 2012 and April 2013. 5 On July 1, 2013, the District filed an opposition to the motion. Student’s motion does not comply with the ALJ’s instructions in the PHC Order as it does not contain a sufficient declaration under penalty of perjury, either from Father or from a representative of the Center for Autism Related Disorders (CARD) to authenticate the documents. Father signed the motion under penalty of perjury and stated in the motion that although the invoices are dated April 30, 2013, he did not receive them until June 26, 2013. However, only the April 2013 invoice is dated April 30, 2013. The July and August 2012 invoices are dated January 1, 2013, and Father provided no explanation for their delay in submission. In addition, Student failed to adhere to the PHC Order’s provision for advance disclosure, or to disclose the documents to the District at least five business days in advance of the hearing, as required by law. The documents are therefore subject to exclusion. Therefore, Student’s motion to admit the supplementary evidence is denied. 1. Student is an eleven year-old boy who is currently residing with Parents within the geographical boundaries of the District. Student moved into the District at the beginning of the 2010-2011 SY and has been eligible for special education as a student with autistic-like behaviors since February 2011. Student was diagnosed with regressive autism when he was about three years old. 7 Official Notice is taken of Student’s complaint and the July 10, 2012, Decision in OAH case number 2012020850. 8 Ms. Smita Chandru has an undergraduate degree in occupational therapy and a master’s degree in occupational therapy. She is a registered occupational therapist and has been working at the District since 2008. Ms. Chandru provided OT services to Student in the 2011-2012 SY. 9 Both Patricia Strass and Dr. Damon Korb did not testify at hearing. As such, their credentials are not noted in this decision. 4. Ms. Smita Chandru, occupational therapist, completed an assessment of Student in February 2011. 8 That assessment contained several recommendations for Student, including recommendations for Student to receive individual school based occupational therapy (OT) services to address fine motor difficulties and sensory processing issues. Ms. Chandru also recommended that a sensory diet be built into Student’s regular class schedule to provide him with movement breaks, and tactile and proprioceptive inputs to help Student process stimulation better. She stated that modifications to the sensory diet would be ongoing depending on his needs and response. She also recommended OT consultation services to set up and modify the sensory diet. Because this assessment is not recent, it is accorded weight only as it supports the totality of the evidence in this matter regarding Student’s individual OT needs and the purpose of the OT consultation for Student. 5. Patricia Strass, M.A., board certified behavior analyst (BCBA), performed a behavioral assessment of Student in April 2011. 9 Neither party called Ms. Strass to testify in the hearing. The assessment indicates that, as of April 2011, Student was constantly looking for sensory input and was constantly distracted during his instruction time. He was described as not following instructions consistently, unable to imitate or show awareness of his peers, and unable to use materials and objects functionally. Ms. Strass opined that it was hard for Student to generalize his skills. She stated that Student needs to participate in an environment that consistently follows the ABA principles and that where staff work with Student on a daily basis needs to systematically apply the same principles. Because this assessment is also not recent, it is accorded weight only as it supports the totality of the evidence in this matter regarding Student’s needs, and particularly regarding the appropriateness of ABA methodology for Student based upon his needs. 6. An independent developmental assessment was completed for Student in August 2011 by Dr. Damon Korb, MD, a Behavioral and Developmental Pediatrician and the Director of the Center for Developing Minds. Dr. Korb reported that Student did not greet him or shake his hand when directed. Student did not sustain eye contact and his movements were impulsive, reaching and grabbing for objects. Student threw things around the room and quickly put most items he touched into his mouth. Student did not demonstrate functional play and Dr. Korb stated that Student’s social interactions, behavior, and play resembled that of a child six months to eighteen months of age. 8. For the 2011-2012 SY, Student was initially placed in a moderate to severely handicapped special day class (SDC) at Eisenhower Elementary School, taught by Ms. Vicky Broumas. He remained in this class until April 2012, when his Parents removed him after a series of seizures, which happened both in school and on the school bus. 9. In September 2011, CARD evaluated Student for ABA behavioral intervention. At that time, Student was nine years old. He was not initiating toileting in the community and would often either pull his pants down in public or soil himself. Student could use a spoon for feeding, but preferred to use his fingers to eat. Student could put on elastic waist underwear, pants and shorts, but needed assistance with all other articles of clothing. Student responded to his name inconsistently and had difficulty sustaining eye contact during interactions. Student would get excited seeing other children play, but was unable to join in their play appropriately. 10. CARD noted in their evaluation that Student’s language skills were delayed. Student could comply with one and two-step commands, but could only follow two-step commands with prompting. Student could inconsistently match identical items and identify familiar objects. Student was able to imitate sounds, but did not produce spontaneous language. Student could convey what he wanted through gestures and pointing. 11. Student exhibited maladaptive behaviors, including noncompliance, tantruming, and aggression. Student was observed to engage in various behaviors, which included a persistent need to hold objects in his hands, lick and mouth inanimate and inedible items and throw or flip paper and books. 12. CARD recommended that Student receive 100 hours per month (25 hours per week) of one-to-one behavioral intervention provided by therapists trained in ABA methods. To support this level of intervention, CARD also recommended that each of the three therapists working with Student receive four hours of clinic attendance each month to ensure the consistency and efficacy of his program. CARD stressed that it was imperative that Student’s program be supervised by a qualified ABA consultant for 10 hours per month. CARD recommended that goals in their treatment program be in the areas of mand training (teaching Student to request preferred items and activities and request cessation of nonpreferred activities), compliance, verbal imitation, object labels, matching, eye contact, joint attention, independent play, interactive play, motor skills, daily living skills, and parent training. Student began receiving the 100 hours of instruction per month and related clinic and supervision hours in December 2011. The ABA services have been paid for by Parents medical insurance and Parents pay a co-pay of $30.00 per day up to their maximum yearly deductible. 13. The District began Student’s annual IEP team meeting on February 16, 2012. Prior to the IEP team meeting, Parents sent the District a set of proposed goals for Student that they wanted the IEP team to consider, and a copy of Dr. Korb’s report. An employee of CARD attended the IEP team meeting, along with the rest of the IEP team members. 14. The February 16, 2012, IEP document lists Student’s present levels of performance. Student could match numbers one to 10 and all lower case and upper case letters. Student could recognize and match basic colors and shapes. Student was reportedly able to work for rewards. Student could not use a one word utterance without a prompt. Student could follow two-step commands with a prompt. Student could participate in table top OT sessions without putting things in his mouth during the sessions. Student had a good pencil grasp, but did not have a strong grip on the pencil. Student could snip paper while cutting, but was unable to cut in a straight line. It was reported that on some days, Student sought a lot of oral input. Student was provided many kinds of sensory interventions in the classroom. 15. Student was described as generally happy and content. However, when he was frustrated, he would cry, grab, pinch or have the teacher or aide squeeze his head when he was upset. He reportedly did well with transitions and followed classroom routines with minimum to moderate prompting. Student was able to sit and attend at his desk for five to 10 minutes without grabbing and licking items. 16. Parents sent the District a copy of Dr. Korb’s report well before the February 16, 2012, IEP team meeting. However, the District did not distribute the report to the IEP team members prior to the IEP team meeting. Parents also sent a fax with proposed goals for Student they wanted the IEP team to consider. These goals were distributed to IEP team members. 17. Under the Individuals with Disabilities Education Act (IDEA), parents of a child with a disability must have an opportunity to participate in meetings with respect to the identification, assessment, educational placement, and provision of a FAPE to their child. A district must fairly and honestly consider the views of parents expressed in an IEP team meeting, including information from private assessors. While school officials may discuss a child’s programming in advance of the IEP team meeting, they may not arrive at an IEP team meeting with a “take it or leave it” attitude, having already decided on the program to be offered. A district that predetermines the child’s program and does not consider the parents’ requests with an open mind has denied the parents’ right to participate in the IEP process. 11 The previous decision in OAH case number 2012020850 found that the February 16, 2012, IEP team meeting was incomplete. The testimony of several District employees in this hearing also confirmed that there was a need to reconvene to finish the goals, consider the outside assessment, and discuss placement and services. 18. Although an IEP team meeting began on February 16, 2012, the discussion regarding Student’s goals was not completed nor was consideration of Dr. Korb’s report and a placement offer was not made. The meeting was adjourned to be completed at a later date. 11 Father testified credibly that he expected that the meeting would reconvene before the end of February 2012. The District was unavailable the week following February 16, 2012, due to a week-long recess. Father testified that he was told that the team could not meet during the last week of February due to the fact that Mrs. Broumas, the classroom teacher, would be out of the country. 19. Father was upset because he felt that the District had not considered Dr. Korb’s report or Parents’ suggested goals that were faxed to the District prior to the February 16, 2012 IEP team meeting. Father felt that the District was not interested in parental input. He felt that the District’s failure to reconvene the meeting in a timely manner was another instance of the District not showing interest in parental input. Father filed for hearing in OAH case number 2012020850 on February 22, 2012, alleging that the District failed to consider Dr. Korb’s report at the February 12, 2012 IEP team meeting. 21. The District responded by letter dated March 6, 2012. The District attempted to explain the difference between stay put and the District’s obligation to complete the February 16, 2012, IEP team meeting and make an offer of placement and services. The District asked Parents to reconsider attending the IEP team meeting. Father sent another email on March 7, 2012, stating that it would be a violation of the law to hold the IEP team meeting because the parents “prefer stay put condition.” The District responded that its letter from March 6, 2012, “clarified your concern regarding stay put.” Father responded one last time on March 7, 2012, asking the District to “Please read carefully my reply before posting reply or you may please consult your lawyer.” The District did take steps to get Parents to attend an IEP team meeting and Parents were not willing to attend at that time due to what appears to be a misunderstanding of the District’s obligation to make a placement offer for Student in his annual IEP and stay put. The evidence established that Parents were unwilling to attend an IEP team meeting until the scheduled hearing had taken place. Parent training from the Comprehensive Autism Program (CAP) for 60 minutes monthly. 23. Evidence established that the District had not completed the IEP meeting on February 16, 2012. The District had not completed consideration of Dr. Korb’s report, finished the goals or made a placement offer The District did not hold another IEP meeting to finish the IEP team meeting that began on February 16, 2012, before unilaterally generating the March 29, 2012, IEP letter and IEP documents attached to the letter. 24. The District’s position that their obligation to hold an IEP team meeting for Student was contingent upon Parents agreeing to attend the meeting is not supported by the law, as discussed below, and is therefore rejected. If the District could not get Parents to attend an IEP team meeting, the District was still obligated to complete the IEP team meeting with the other members of the IEP team so the team could finish considering the Korb evaluation, develop the goals and discuss, develop and offer placement and services for Student. This did not happen. The District unilaterally, and without considering IEP team input for the goals and Dr. Korb’s report, made a take-it-or-leave-it offer to Parents in the March 29, 2012, letter. 12 Ms. Porter has an undergraduate degree in Communications Disorders and a master’s degree in Speech Pathology. She has a license and credential in speech pathology. She has been employed at the District as a speech pathologist since 2009. Ms. Porter delivered Student’s speech and language services during the 2011-2012 SY. 25. Ms. Shonia Porter, District Speech and Language Therapist, credibly testified that, in March 2012, Ms. Ota called her and asked her enter into the District’s computerized IEP program her recommendation for speech and language services for Student. 12 No one from the District or any other IEP team member made contact with Ms. Porter to talk about the proposed speech and language services or to have any discussion regarding the speech and language service offer that was placed into the computerized system. Ms. Chandru, the occupational therapist, credibly testified that she was asked by someone from the District whether she agreed with the OT service offer to be placed in the March 29, 2012, letter and that she did agree. She did not meet with anyone to discuss her OT recommendation or any placement recommendation from other members of the IEP team. Mrs. Broumas credibly testified that she did not recall being consulted at all about the contents of the March 29, 2012, placement offer. 26. However, Ms. Ota testified that she sent an email to all IEP team members prior to writing the March 29, 2012, letter. She testified that she asked the District IEP team members to get together, consider information about Student and collectively create an offer of placement and services for Student. Ms. Ota testified that the team members responded back to her with a collectively created offer and that is the offer contained in the March 29, 2012, letter. Ms. Ota’s testimony was not credible because it was in direct contradiction to the testimony of the speech and language pathologist, teacher and occupational therapist. Further, when asked if she had copies of the emails, she testified she did, but no emails showing any collaboration to develop the March 29, 2012, IEP offer between Ms. Ota and any other member of the IEP team were produced during the hearing. Even if the team members had gotten together to collectively develop the placement offer, the rest of the IEP was incomplete. 27. Although Father had refused to attend the March 9, 2012, meeting to continue the February 16, 2012, IEP team meeting, he did not fully understand the interplay of the District’s obligation to make a new offer and the obligations of stay put. The refusal of Parents to attend a continued IEP team meeting until a hearing challenging the first part of the meeting was completed was not a withdrawal from the IEP process, but an incorrect attempt to ensure that the report Parents delivered to the IEP team would be considered at any continuation meeting. 28. While the law certainly contains a strong preference that parents attend IEP team meetings, the District’s obligation to hold an IEP team meeting is not dependent on a parent agreeing to attend the IEP team meeting. School districts must make serious and substantial efforts to ensure parental attendance, but, if they cannot, the IEP team meeting must still be held. The District has a responsibility to move forward with the IEP development process even if parents refuse to attend an IEP team meeting. Here, the District unilaterally decided that, if Parents would not attend the meeting, then it did not have to hold a meeting to finish discussing the goals, consider the IEE, and discuss placement and services. The March 29, 2012, offer was not made through any collaborative effort with the rest of the IEP team. The evidence showed that the speech pathologist alone determined the level of speech services, the occupational therapist was asked to approve the OT services and no one consulted with Student’s SDC teacher. The District’s special education coordinator made a take-it-or-leave-it offer of placement outside an IEP team meeting. There is no provision in the law that allows for a placement offer to be made by unilateral letter. 29. Had the District set a date for the continuation meeting, sent the parents an IEP team meeting notice and then held a meeting, it would have given the parents notice that the District intended to hold the meeting regardless of whether Parents chose to attend and given Parents one last opportunity to participate in the IEP team meeting. 30. The District should have held an IEP team meeting to finish the remainder of the IEP that began at the February 16, 2012, IEP team meeting. Student has met his burden to show that the offer of March 29, 2012, was predetermined. Therefore, the District committed a procedural violation from the date of the March 29, 2012, letter until the IEP team convened again on May 31, 2012. 31. For a procedural violation to deny a student a FAPE, the violation has to either result in a loss of educational opportunity or seriously infringe the parents’ opportunity to participate in the IEP development process. It is clear that had the District reconvened the IEP meeting, the IEP team would have considered Dr. Korb’s report, and discussed the goals and the placement options for Student, including the recommendations for ABA in Dr. Korb’s report, as they did when the IEP team reconvened in June 2012. This resulted in lost educational opportunity for Student and therefore a denial of FAPE because the IEP team would have better considered the educational possibilities as presented in both Parent’s proposed goals and Dr. Korb’s report. 32. Further, the District’s failure to consider Dr. Korb’s report and finish considering Parents’ proposed goals before the IEP offer was made is evidence of the District’s failure to ensure parental participation to the extent they could, absent Parents’ attendance at the IEP team meeting. This seriously infringed on Parents’ opportunity to participate in the IEP process. For both these reasons, the District’s procedural violation resulted in a denial of FAPE and the Student met his burden to show that the District denied him a FAPE from March 29, 2012, until May 31, 2012, when another IEP team meeting was held and another placement offer made for Student. 33. On April 9, 2012, Student had a seizure at school. Parents met with District staff regarding the episode. The District offered to develop a seizure protocol in consultation with Student’s physician and informed Parents that all staff members in Student’s classroom had been trained in first aid for seizures. Student returned to school. 13 Katherine Waugh, RN, has a RN from St. Luke’s School of Nursing, an undergraduate degree in nursing with a minor in education and a master’s degree in community health nursing. She is a Clinical Nurse Specialist and has a Public Health Nurse Credential. She retired from the District last year after 28 years as a school nurse for the District. 35. Parents and the District communicated regarding supporting Student in the classroom given his seizures. Parents wanted a one-to-one aide placed in the classroom to support Student and the District felt that Student did not need the services on a one-to-one aide in the SDC class. The District indicated on April 26, 2012, that they were in the process of setting up an IEP team meeting to discuss Student’s seizure needs, the issue of the one-toone aide and any other issues regarding Student. The District scheduled an IEP team meeting for May 4, 2012, which was rescheduled to May 31, 2012, due to Student’s seizure activity on May 3 and 4, 2012. 14 The District held another IEP team meeting for Student on June 8, 2012, which Student did not challenge in this hearing. Even if the District’s failure to place Student on home-hospital instruction at the May 31, 2012, resulted in a denial of FAPE for Student, the denial of FAPE would have only lasted until the next IEP team meeting, eight days later. 15 During the hearing, the District took the position that Parents were not cooperative because they would not sign a release for District personnel to talk to Student’s doctors. Father testified credibly that he was not comfortable doing so because Student’s medical information is confidential and the records contain confidential medical history about Student and other family members, unrelated to Student’s education. He was not willing to sign a blanket waiver of this confidentiality. There is no legal requirement that Parents execute such a waiver and the District provided no authority in support of this contention. 16 This decision makes no findings regarding the procedural or substantive appropriateness of the May 31, 2012, IEP, with the exception that the District’s failure to provide home-hospital instruction did not deny Student a FAPE. 18 This decision makes no findings regarding the procedural or substantive appropriateness of the June 8, 2012, IEP. 39. The IEP team met on May 31, 2012. 16 The IEP team meeting was considered by the parties an “emergency” IEP team meeting, in response to Student’s seizure activity. 17 At that IEP team meeting, the team discussed a variety of placement options. Parents expressed concerns about Student’s safety in both the school and bus environments. The school nurse explained home-hospital instruction and gave Parents the District policies. At the end of the IEP team meeting, the District offered aide support to Student for the entire school day, but no aide support on the school bus. 40. At the time of the May 31, 2012, IEP team meeting, no physician’s report meeting the required conditions to permit home-hospital placement existed. Therefore, the District did not deny Student FAPE by failing to offer Student home-hospital instruction at the May 31, 2012, IEP team meeting because Parents failed to provide the District with the needed information. 41. The District held another IEP team meeting on June 8, 2012. 18 The IEP contained a different offer of placement and services from the May 31, 2012 IEP, including increased OT services and different goals and objectives. This is relevant in this matter only as it relates to the duration of the District’s May 31, 2012 IEP offer, which was superseded by the offer made at the June 8, 2012, IEP team meeting. 42. Student had several seizures on July 4, 2012. The seizures were close in time and resulted in Student’s hospitalization. Student’s medication was increased and he experienced several side effects of the medication, including tantruming, sleep disturbances and a dull affect. 43. Father testified that there were several triggers for Student’s seizures, including not getting enough sleep. By mid-summer 2012, Student was not able to fall asleep until midnight and was sleeping late into the morning. Parents tried a prescribed sleeping medication, which was ineffective. Parents were concerned that waking Student up to attend school in the morning could result in a seizure. 44. On August 27, 2012, Father sent a letter to the District, which stated his concerns regarding the inadequacy of the District’s offer of placement. Father indicated that Student’s health condition was not good enough to attend school with the supports, placement and services the District had offered. Father attached a letter from Student’s neurologist, Dr. Christopher Lee-Messer. In a letter dated August 24, 2012, Dr. Lee-Messer wrote: “[Student] was seen in the Pediatric Neurology clinic on 8/24/2012 for treatment of his epilepsy and circadian rhythm disruption. His seizures are now controlled on increased medication but his sleep is highly disrupted and along with his autism, he will require home instruction – likely for another 2-3 months – as his parents implement sleep training.” The letter was signed by Dr. Lee-Messer. 19 This decision is only concerning the implementation of the August 29, 2012, IEP amendment. This decision makes no findings regarding any other procedural issues or the substantive appropriateness of the August 29, 2012 IEP amendment. 45. The District did not hold an IEP team meeting when they received the note from Dr. Lee-Messer. Instead, the District sent Parents a letter and an IEP amendment form dated August 29, 2012. 19 Father signed the amendment on September 10, 2012. The amendment offered Student home-hospital instruction of five hours per week, speech and language therapy of 60 minutes per week in the home and OT of 60 minutes consult per month. The letter and IEP stated that the offer was temporary and for only 90 days from the date of the letter. 46. When a student eligible for special education is placed by the IEP team on home-hospital instruction, the IEP team shall meet to reconsider the IEP prior to the projected calendar date for the student’s return to school. The teacher providing the homehospital instruction is required to contact the student’s previous school and teacher to determine the course work to be covered, the books and materials to be used, and determine who is responsible for issuing grades and promoting the student when appropriate. 47. The August 29, 2012, IEP amendment had three components: teaching, speech and language therapy, and OT consultation. Student alleges that the District did not implement the services in this amendment. The District admits that it did not deliver a portion of the services, but contends that they have agreed to make up some of the missed services and that they were not under an obligation to provide the services for some of the time. The District also contends that the August 2012 amendment was only for 90 days and thus a temporary placement. The District claims that at the “expiration” of the IEP amendment, Student’s placement “reverted” to the June 8, 2012, IEP placement offer. The Student has met his burden to show that the District materially failed to implement the August 29, 2012, offer of placement and services and that this denied Student a FAPE. 48. At the time the District offered the home-hospital instruction to Student, the District had made no efforts to secure the services of an appropriately credentialed special education teacher to provide the instruction, a speech therapist or an occupational therapist. Almost two weeks later, when Parent signed the IEP amendment, the District had not yet secured any providers for Student. Only after Parent signed the amendment did the District begin looking for providers. The District was obligated, at the time of the offer, to be ready and able to provide the services offered. In this case, the District unreasonably delayed the provision of services by waiting to locate providers and waiting for Parents and the services providers to work out a schedule without any District oversight. 49. To locate a teacher for Student, Jennifer Keicher, special education director, sent a series of emails to District personnel, employees of the Special Education Local Plan Area (SELPA), and employees of neighboring school districts looking for a teacher who was already employed during the school day to provide the home-hospital services to Student. The District directed any interested teacher to contact Parents via email and arrange times for the services to be delivered. 50. On September 13, 2012, Parents sent an email to Ms. Keicher wanting to know why the home-hospital instruction had not yet begun. There is no indication that Ms. Keicher replied to this email. Ms. Keicher testified that she had “trouble” finding homehospital teachers. 51. Ms. Emily Kuglics, special education teacher, contacted Parents on September 14, 2012. She stated that her availability for providing instruction was Monday, Wednesday and Thursday after 5:00 p.m. Ms. Kuglics sent an email to Father indicating that she had spoken to Mother earlier on the same date as her email. The District claims that they never heard back from Parents regarding this proposal. Father credibly testified that the email was sent to an email address that he was not using and that it went to a mailbox that was generally filled with spam. Father claims he did not receive or read the email from Ms. Kuglics. After the email, the District did not follow up with any phone calls to Parents or other correspondence. 53. Father responded to this email on October 2, 2012, stating “You may please come anytime that you mentioned in your email. I am glad School District is attempting to send somebody at last.” Father testified that although Student was receiving in-home ABA services during the afternoon, he had instructed his wife to change around the ABA times and make Student available to the teacher. Ms. Membrano testified that she had never received Father’s email and that both her email account and the District offsite archival email showed that Father’s email was never received. The evidence provided by both parties on this issue did not have a sufficient level of reliability to allow the ALJ to make a determination as to whether this email was sent or received. Therefore, this email was not considered when determining whether Parents were cooperating with the District. Whether or not Father’s email was timely received by the District, Mother was engaged and somewhat flexible in responding to the speech and language therapist regarding Student’s availability in the days following the date of this purported email as discussed below in Factual Findings 55-59. 54. The District maintains that Mother told them that Student was not available during at least some of the proposed teaching times because of his ABA therapy. The District provided no authority that Parents had any obligation to make Student available for instruction outside Student’s regular school hours, absent an agreement to do so. At no time did Parents offer a take-it-or-leave-it time period that Student was available. It was the District’s staff that had scheduling constraints. 20 Mr. Zack Buffum has an undergraduate degree in communication disorders and a master’s degree in speech pathology. He is a licensed Speech and Language Pathologist. During the 2011-2012 SY, he was a speech therapist in the District. In the 2012-2013 SY, Mr. Buffum was a program specialist for the District. 56. On September 28, 2012, Mr. Buffum sent an email to Parents stating that he would provide the speech and language services. He stated that his current availability for services was Tuesday and Thursday from 3:45 to 4:15 p.m. Father provided an email dated October 2, 2012, stating that Mr. Buffum could come during those times. Father testified that he told his wife to make Student available during these times. Mr. Buffum testified that he had no recollection of receiving this email, it was not located in his email account and that Father’s email was not located on the District archive. As discussed above concerning the email to Ms. Membrano, the evidence did not have a sufficient level of reliability to allow the ALJ to make a determination as to whether this email was sent or received. Therefore, this email was not considered when determining whether Parents were cooperating with the District. 57. Mother responded to Mr. Buffum’s email on October 1, 2012, stating that Student was not available from 3 p.m. to 5 p.m. on Mondays, Tuesdays and Thursdays because he was receiving different therapy at that time. She asked for alternative schedules. Just a few minutes later, Mother sent another email stating that she had received an email from Student’s ABA therapist and Student was now free on Thursdays from 3 p.m. to 5 p.m. beginning the second week of October, 2012. 58. Mr. Buffum replied on October 3, 2012, and stated that he was available on Thursdays from 3:45-4:15 pm with the exception of October 25, 2012, when he was scheduled to be at a conference. He also asked for an address and the start date Student was available. Mother replied that same day with her address and asked whether Mr. Buffum was available at different times on Thursdays and if 3:00 -3:30 would work. On October 8, 2012, Mr. Buffum replied and asked whether Student was available to start on October 11 or October 18 and stated that he could not make it any earlier than 3:45 pm. Mother replied that Student was available on October 11, 2012 at 3:45. Mr. Buffum came to provide speech and language therapy to Student on October 11, 2012. 59. Mr. Buffum cancelled the October 18, 2012, session because he had a last minute conflict. Mr. Buffum testified that his job with the District was as a program specialist and that he often had to attend IEP team meetings that ran late. He also testified that he did not want to work too late so as to not upset his home life. Mr. Buffum was away at a conference on October 25, 2012, and did not provide speech therapy. “Monday and Tuesday 1:00 p.m. – 3:00 p.m.
Wednesday 1:30 p.m. -5:30 p.m.
62. Mother noted that at other times, Student was receiving ABA therapy and that if it was difficult to accommodate the teacher for the times she listed, to let her know and she could reschedule the conflicting therapy times. Ms. Keicher replied on October 25, 2012, that she would send this availability out to more people to see if someone could accommodate the schedule. On October 30, 2012, Ms. Keicher emailed Mother and told her that she found a teacher and that the teacher should be contacting her later in the week, as soon as the District got her paperwork in order. 63. The District’s attitude towards its obligation to provide Student with home-hospital services was cavalier. The District had the obligation to provide the services within a reasonable period after Parents agreed to the offer on September 10, 2012. In this case, the District wanted Parents to make Student available outside regular school hours and when Student had other therapies scheduled. The District acted as if Parents were unreasonable in not accommodating its teachers’ limited availability. Student did have a schedule that was rather full with therapy, but Parents continually showed a willingness to change Student’s therapy schedules and work with the District. The same was not true for the first two teachers the District identified and Mr. Buffum. The District did not present any authority that required Parents to make Student available for instruction outside the Student’s regular school day and in the evenings. While there is nothing preventing a parent and a district from agreeing to home-hospital services after school hours, in the evening or on weekends, the District was unreasonable in insisting that Parents agree to times outside the student’s regular school day. 64. Ms. Ashley Cheechoo contacted Parents on November 1, 2012, and offered to come to the home on Mondays from 1:00 pm to 3:30 pm and Wednesdays from 3:00pm to 5:30 pm. She asked if Mother could change Student’s schedule to accommodate the later time on Mondays. Mother replied that she would. Ms. Cheechoo was not called by either party as a witness, and there was no testimony about any instruction she gave to Student. The District contends that the home-hospital teacher services were delivered in November and December, until the Winter Break. Parent did not dispute this contention. 65. Mr. Buffum cancelled his speech and language therapy session with Student on November 1, 2012, because of illness and November 8, 2012, because of an emergency meeting. He came two times in October and once in November, each time for less than an hour. Neither Mr. Buffum, nor any other speech therapist met with Student again through March 28, 2013. 66. The District did not schedule the required IEP team meeting prior to the expected expiration of Dr. Lee-Messer’s initial letter requesting home-hospital for Student. On November 13, 2012, Ms. Keicher wrote to Parents and told them that the District’s offer of home-hospital ended on November 29, 2012, unless she received a new recommendation from a physician. By the date of Ms. Keicher’s email, the District had provided two half hour sessions of speech and language services, the occupational therapist provided some minimal consultation services in October and the teacher had provided about 10 hours of instruction to Student during the entirety of the 2012-2013 SY. Parents wrote back on November 14, 2012, reminding Ms. Keicher that the services only just started and that Ms. Cheechoo had told them that she would be working with Student until the winter break. 67. Ms. Keicher testified that she did not receive a physician’s note in response to her November 13, 2012, correspondence, but decided to provide services through December in anticipation of a note. Father testified that it was very difficult to get an appointment with Dr. Lee-Messer and that Dr. Lee-Messer would not write a note without seeing and evaluating Student. Without holding an IEP team meeting, the District stopped all services in January 2013. On February 5, 2013, Dr. Lee-Messer faxed a note to the District. The District determined that this note met the requirements for a home-hospital note and placed Student on home-hospital instruction. The home-hospital teaching services began again on approximately February 13, 2013, with no IEP team meeting or amendment. At that time, Ms. Kristine Carlos was assigned to be Student’s teacher. Ms. Carlos was not called by either party to testify in the hearing and no evidence was provided about the services she delivered to Student. 21 This decision makes no findings regarding the procedural or substantive appropriateness of the March 15, 2013, IEP. 22 This decision makes no findings regarding the procedural or substantive appropriateness of the March 28, 2013, IEP amendment. 68. The District held an annual IEP team meeting for Student on March 15, 2013. The District made an offer that it contended was for the 2013-2014 SY, as Student was on home-hospital instruction for the balance of the 2012-2013 SY. 21 The District then sent Parents an amendment on March 28, 2013, that continued home-hospital instruction for the remainder of the 2012-2013 SY. 22 Parents signed this amendment on April 2, 2013. Therefore, the IEP amendment of March 28, 2013, is considered a new offer of placement and services and any claim regarding implementation of the August 29, 2012, IEP ended on March 28, 2012, when the new offer was made. 69. The District’s claim that their obligation to provide home-hospital pursuant to the August 29, 2012 IEP was temporary and ended 90 days after August 29, 2012, is not consistent with the law. The District was provided a note in August that provided for home instruction for two to three months. The District was obligated to hold an IEP prior to the expiration of that note, which was as early as October 2012, and to make another offer of placement or services to Student, which could include additional home-hospital instruction, if supported by proper documentation. Further, the school nurse, Katherine Waugh, testified that before a Student may return from home-hospital instruction there must be a release from the physician allowing the student to return to school. There was no such release in this case. The District arbitrarily continued services through December and declined to provide services in January and the first part of February, all without an IEP team meeting. The District’s contention that Student’s placement reverted back to its June 2012 offer of placement is without legal support. Further, the District’s continued provision of services to Student after November 29, 2012, in the home defeats this argument. Home-hospital instruction for Students eligible for special education is an IEP placement and an IEP team meeting is required for any change of placement to be considered. The District failed to hold a follow-up IEP team meeting to discuss Student’s 2012-2013 placement until the amendment was sent to parents on March 28, 2013. 70. From September 10, 2012, until March 28, 2013, the District contends that it provided Student with 12 weeks of teaching instruction and missed 13 weeks of instruction, per the school calendar. The Student was to receive an hour of speech therapy a week and the District admits that Student received less than 3 hours of speech therapy from September 10, 2012 until March 28, 2013. Student was supposed to receive one hour of OT consultation a month and the District admits that it only had an occupational therapist assigned to Student in October and November. This alone is a material failure to implement Student’s August 29, 2012, IEP, which resulted in a denial of FAPE. 71. The involvement of a student’s regular teacher is critical and mandated as part of home-hospital instruction for students with disabilities. The consultation is important to ensure that while on home-hospital instruction, Student will continue in the curriculum from his classroom and that there is a plan for tracking and reporting on a student’s progress. Even when the District provided instruction and OT services to Student, it still materially failed to implement the August 29, 2012, IEP amendment. Any teaching that the District did provide in November and December 2012, and from beginning February 13, 2013, through March 28, 2013, did not meet the requirements of the relevant regulation. Mrs. Broumas, Student’s SDC teacher, testified that no one contacted her during the entire 2012-2013 SY regarding Student’s educational program and that she has not been involved with Student’s educational program. The District did not call either of the home-hospital instructors to refute this statement. The failure to provide services and the failure to properly consult with the SDC teacher when the services were provided establish another material failure to implement Student’s IEP of August 29, 2012. 23 The decision makes no findings regarding the appropriateness of the District’s consultation only OT offer. 72. Student’s occupational therapist from the 2011-2012 SY, Ms. Smita Chandru, was assigned to provide the consultation OT services as part of the home-hospital IEP amendment. She testified that she was to provide OT consultation to Student’s teachers, therapists and Parents so that these providers could implement OT strategies for Student throughout his day. She provided some very limited consultation in October and November 2012, and did not provide consultation OT services again to Student until May 2013. 23 Another occupational therapist delivered 40 minutes of OT consultation in April 2013. 73. Less credibly, she testified that she consulted with Mother who asked her a few questions and that she gave Mother a few ideas, and also consulted with the rest of the team working with Student at home, including Zack Buffum and Ms. Membrano. However, Ms. Membrano never worked with Student and there was no teacher assigned and working with Student in October 2012, one of the only months Ms. Chandru stated she gave the consultation services. The evidence did not establish that Ms. Chandru consulted with Ms. Cheechoo, Student’s home-hospital instructor in November 2012. Mr. Buffum provided only a small percentage of the speech services Student was entitled to and did not testify that he ever implemented any OT strategies with Student. Ms. Chandru testified that she had email records of her consultation with Mother, but the District did not provide these emails. Overall, Ms. Chandru was not credible and her testimony regarding the provision of OT consultation was not persuasive. 75. Student met his burden to show that the District failed to implement the home-hospital instruction for the entire duration of the August 29, 2012, amendment (until March 28, 2013) because it did not comply with the home-hospital regulation regarding consultation with Student’s teacher. The District’s failure to implement the teaching portion of the August 29, 2012, amendment was material and resulted in a denial of FAPE to Student. Student met his burden to show that the District did not implement the IEP amendment from August 29, 2012, as to OT for Student. This material failure to implement resulted in a denial of FAPE for Student. Student was denied FAPE from the date Parent signed the amendment, September 10, 2012, until the next IEP amendment was offered on March 28, 2013. 24 No assessments from 2013 were presented as evidence in the hearing. 25 It is noted that Ms. Cheechoo stopped working with Student in mid-December 2012. 77. The IEP document from March 15, 2013, details present levels of performance for Student submitted by Ms. Cheechoo in February 2013. 25 She noted that Student still had significant needs in the areas of communication, generalization of academic skills, and emotional regulation. The report indicates that Student was still being spoon fed by an adult and was not feeding himself unless given time and opportunity. She suggested that the IEP team consider moving away from academic goals and focus more on life skills that will facilitate Student’s independence. She noted that Student struggled with colors, shapes and identifying letters in his name. He was inconsistent and seemed to have trouble scanning and maintaining attention to task. Some days Student seemed to master the color concepts of red and blue and then on another day, there was no evidence of mastery. He could pick out a circle from a field of two items. He could not match K and A under random rotation. He mastered matching numbers one and two. This clearly shows a significant regression from the present levels of performance in the February 2012, IEP as outlined in Factual Finding 14. 78. From a communication development perspective, Ms. Cheechoo noted that Student was non-verbal. He did not have any oral/vocal language that could be understood by anyone other than family members, and they could not understand him all of the time. He used gesturing, pointing, grunting, tugging or pulling when he wanted to communicate. He whined and cried when upset and frustrated. He did not have a communication system that was functional for him in the home, where his instruction was taking place. Ms. Porter also gave an update in the area of communication development for Student. She noted that she had not seen student in therapy since April 2012 and at that time Student could use word approximations, signing and a simple communication board to express his wants and needs. It is noted here that Ms. Cheechoo did not see Student as able to do any of these tasks seven to eight months later, after the District failed to implement the speech and language services from the August 29, 2012, IEP amendment. 79. The District failed to provide Student FAPE by predetermining the March 29, 2012, offer. Overall, the District admitted that it did not provide Student with many of the services from the program and placement specified in the August 29, 2012, amendment. The District did little to ensure the actual delivery of the services to Student and failed to timely provide make-up services when sessions were missed. Student has a moderately severe disability and has intense needs in the areas of academics, functional skills, communication and OT. The District took the position that after effectively missing months of services, by their own count, their only obligation to Student was to make up for the missed hours at some point in the future. The District did not take into account Student’s individual needs when taking this position. 80. Student put on limited evidence regarding the ABA therapy from CARD that he received from March 29, 2012, through the date of the hearing. Parents’ medical insurance covered a great portion of the costs of the program and the billings are confusing and the evidence did not provide all of the information necessary to allow the ALJ to craft a remedy for reimbursement of the ABA services Parents have already obtained. 81. Student did not put on any evidence regarding a NPA or non-public school (NPS) placement for Student as a compensatory remedy. Besides being unable to order a program without specific information regarding the program, it is unclear when and if Student will be able to attend school or make a bus ride due to seizure activity. 82. The Student met his burden that the District denied him FAPE from March 29, 2012, through May 31, 2012, and from September 10, 2012, through March 28, 2013. Student was denied a FAPE for 167 school days. The District’s calendars show that this is closely equivalent to an entire SY. Missing an entire year of education has a tremendous impact on any student and on this Student in particular. There was no evidence that the District’s “plan” of simply doubling up on the District’s FAPE offer by offering compensatory services at some future date would equitably compensate the Student, especially given the difficulty the District has in locating providers. 83. Compensatory education is not intended to be awarded based on a one-to-one ratio for services missed, it is awarded based upon a Student’s individual needs considering the individual facts of the case. Student’s intense needs present a picture of a child who needs intensive intervention to make educational progress. Student has a documented history of regression and still has behaviors similar to a toddler. In this matter, Student was denied a FAPE for almost an entire SY and, based upon the severity of Student’s needs and the length and breadth of the denial of FAPE, Student is entitled to a SY’s worth of instruction. Therefore, based upon Student’s unique needs and the facts of this case, Student is entitled to 167 days of compensatory educational services, for services that are to be delivered daily and, based on a five school day week, 34 weeks of compensatory educational services for services delivered weekly. While this is one day for every day Student missed, the services that will be delivered during these days and the amount delivered is required to be greater than simply the amount of services previously listed in Student’s IEP’s because one-to-one compensatory services would equitably, fairly and justly compensate him for the denial of FAPE. Student’s needs dictate more than one-to-one compensatory services for the missed and ineffective services. 84. Both Patricia Strass, M.A., BCBA and Dr. Korb recommended an ABA program for Student. The report from Ms. Cheechoo, included in the March 15, 2013, IEP document discusses some of the areas that the ABA therapists are working on including oral motor exercises, introduction of the Picture Exchange Communication System communication system, and use of a computer tablet. The program described in the September 2011 CARD report targets areas of need for Student that are still deficits as noted in the March 15, 2013, IEP document. ABA services are an appropriate compensatory remedy for Student because of his need for intensive instruction for communication, behavioral and functional skills. 85. The District acknowledged, as early as October 2012, that Student was entitled to some make-up services for the home-hospital services that it had not delivered by that time. However, the District made no attempts to begin make-up services until after Student’s complaint was filed. Although the District indicated in the hearing that some of the services might have been made up after March 28, 2013, the District was unclear about exactly what services were made up and had no specific plan for delivery of these services. There was no evidence that the teacher making up services was consulting with the SDC teacher. If Student was already receiving one hour of OT consult as a part of his program, it is unclear how arbitrarily adding another hour of consultation would benefit Student. Student’s speech and language services should be delivered and monitored over time, not all pushed into a short period of time that works for the District’s calendar. Additionally, any services that the District determined it was providing as make-up services were at the District’s own risk. Any services the District provided as make-up services will not be subtracted from this award as there was no evidence that any make up services were consistent with the requirements of the law or appropriately delivered to Student. 86. This decision makes no determination regarding an appropriate educational program for Student prospectively in the 2013-2014 SY. However, as compensatory education, the District must deliver Student’s intensive compensatory educational services during extended school years (ESY). 87. Student will be provided with three hours a day of ABA services for a total of 167 days, plus all related supervisory hours and clinic hours. This represents one day of ABA services for each day that Student was denied FAPE and will assist Student in working on functional skills, behavior and communication. This can be in addition to the ABA services obtained and paid for through Parents’ insurance. The District shall contract with the same ABA provider Parents contract with for the insurance based services, as long as the ABA provider is a California certified non-public agency. Parents may decrease or cease insurance based ABA services during the time period that the District provides the services, but are under no obligation to do so. 88. Student will also be provided with one hour per day of home instruction from a credentialed special education teacher for 167 days. These hours can be combined during one week for a total of five hours per week for scheduling convenience, taking into account Student’s ability to manage the length of instructional time periods. The teacher shall be available during the regular school day and shall be a properly credentialed special education teacher. If Parents want to take advantage of this service, Parents shall make student available during the regular school day. The District shall take into account Student’s ABA schedule and all parties will cooperate to find agreeable times for teaching during regular school hours. This teacher can provide some services at the same time as the ABA services to allow for consultation between the providers to ensure a more seamless program for Student. Nothing in this order prohibits the parties from mutually agreeing to provide the teaching services outside the school day, in the evening or on weekends. The home instruction teacher shall consult with Student’s SDC teacher. 89. The District will provide Student with 68 hours of speech and language therapy delivered individually for two hours per week by District personnel or an NPA, at the District’s choice. The District will provide 15 minutes per week of OT consult for 34 weeks and 34 hours of individual OT. Given Student’s clear need for OT, as demonstrated by the both the evidence and the District’s offers of individual OT in every IEP to Student, with the exception of the home-hospital amendments, the individual OT is ordered in addition to the consultation to ensure that Student is able to attain the benefit he would have received had the OT consultation services been implemented with fidelity. This may be done by District staff or an NPA at the District’s choice. 90. All of Student’s compensatory services will take place during the District’s summer breaks (ESY). These services will be delivered starting no later than July 25, 2013, and continue until the last Friday before the beginning of the 2013-2014 SY. The services will begin again the Monday after the end of the 2013-2014 SY and continue until the last Friday before the 2014-2015 SY starts. If Parents choose to take a vacation during any of the time periods, the hours will not be counted and the time will accrue. If there are still compensatory hours at the end of the 2015 ESY, the services will continue into the ESY for the 2015-2016 SY and beyond. Any provider cancellations will be credited to Student. Student absences with less than 24 hours notice will not be credited to Student. Prescheduled student absences and absences with more than 24 hours notice will be credited to Student. 91. These services are all compensatory in nature and do not end if Student moves out of the District or ages out of the District before the services are completed. 8. An agency cannot eschew its affirmative duties under the IDEA by blaming the parents. (See Anchorage Sch. Dist. V. M.P. (9th Cir. 2012) 689 F.3d 1047, 1055. “[P]articipating educational agencies cannot excuse their failure to satisfy the IDEA’s procedural requirements by blaming the parents.”) See also W.G. v. Bd. Of Trs. Of Target Range Sch. Dist. No. 23, 960 F.2d 1479, 1485, holding that the school district could not blame parents’ choice to leave an IEP meeting for its own failure to create an IEP with the participation of the appropriate parties. If a parent refuses to attend or is entirely unresponsive to the agency’s requests to meet, the agency has a duty to move forward with the IEP process. (K.D. v. Dep’t of Educ., 665 F.3d 1110, 1124 (9th Cir. 2011). Issue I: Did the District unilaterally predetermine Student’s IEP in an IEP offer dated March 29, 2012, which denied Student a FAPE? 13. Based on Factual Findings 13-32 and Legal Conclusions 1-12, Student met his burden to show that the District predetermined its March 29, 2012, placement offer. The District did not complete the February 26, 2012, IEP team meeting, including considering Dr. Korb’s report, discussing the goals and discussing and making an offer for placement and services. While Parents declined further attendance at an IEP team meeting, this did not absolve the District of its responsibility to continue the IEP process and ensure parental participation to the extent possible. Prior to any offer of placement and services, the District was required to complete the IEP team meeting. 14. The District unilaterally determined the IEP offer outside an IEP team meeting without a discussion between the IEP team members and before the conclusion of the IEP team meeting. Therefore, the District predetermined all parts of the IEP that were not discussed at the February 16, 2012, IEP team meeting when it sent Parents the take-it-orleave-it offer of placement in the March 29, 2012 letter and accompanying IEP documents. This resulted in a procedural violation to Student from the date of the March 29, 2012, IEP team meeting until the next IEP team meeting held on May 31, 2012. 15. Also, the District should have noticed and actually held an IEP meeting because this would have given Parents notice that the District intended to hold an IEP team meeting for Student and it would have given Parents one last opportunity to participate in the IEP team meeting. Compliance with the requirement to hold an IEP team meeting promotes the purposes of the IDEA to a much greater extent and was less likely to result in a denial of FAPE for Student than the requirement to have a placement offer for Parents to consider. 16. This procedural violation significantly impeded parental participation in the IEP process to the extent that parental participation was possible given Parents refusal to attend the continuation of the IEP team meeting. The IEP team should have met and finished considering the goals with the parental input from the proposed goals Parents sent the District prior to the February 16, 2012, IEP team meeting. The IEP team should have finished considering Dr. Korb’s report as well. These failures seriously infringed on parental participation in the IEP process and the result is that the procedural violation denied Student a FAPE from March 29, 2012, through May 31, 2012. 17. Additionally, a procedural violation can also result in a denial of FAPE under the IDEA if the violation resulted in a deprivation of educational benefits. Student did not meet his burden to show that there was a deprivation of educational benefit to Student between March 29, 2012, and May 31, 2012, which was caused by the District’s predetermination of Student’s placement and services. 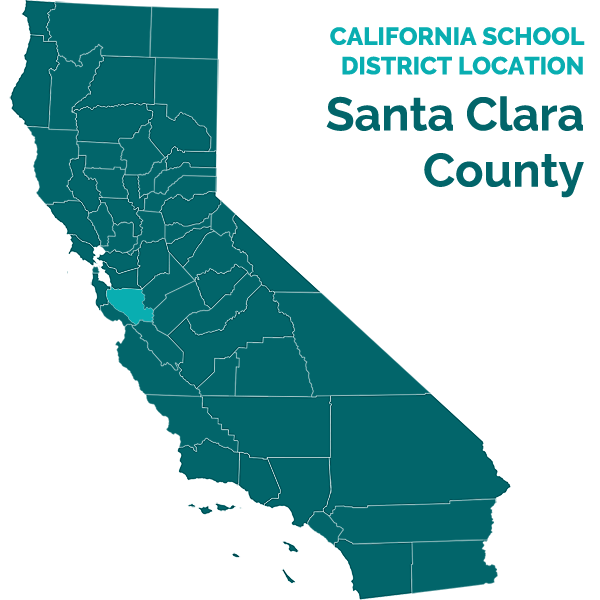 However, California and Ninth Circuit case law expand that standard and do not require a substantive finding of a deprivation of educational benefit but instead a loss of educational opportunity. 18. Had the IEP meeting actually been completed by the IEP team in which the members considered the report from Dr. Korb, there is a strong likelihood that the goals and the placement and service offer would have been more thoroughly considered. This is evidenced by the fact that these were considered when the IEP team met again to complete the IEP on June 8, 2012. Therefore, the predetermination procedural violation denied Student an educational opportunity by causing Dr. Korb’s report, the goals and the placement offer to receive insufficient consideration, and the District denied Student FAPE from March 29, 2012, through May 31, 2012. Issue II: Did the District deny Student a FAPE at an IEP team meeting on May 31, 2012, by denying Parents’ request for home-hospital instruction because of Student’s medication? 21. Based on Factual Findings 33-41 and Legal Conclusions 1-5, 9-12, and 19-20, Student did not meet his burden to show that the District denied him FAPE by failing to place him on home-hospital instruction at the May 31, 2012, IEP team meeting. An IEP team can recommend that home-hospital instruction is appropriate for a student eligible for special education with medical needs. However, the team shall have a medical report from the attending physician, surgeon or psychologist stating the diagnosed condition, certifying that the severity of the condition prevents the student from attending a less restrictive placement, and the report must include a projected calendar date for the pupil’s return to school. In this case, there was no report from a physician, surgeon or psychologist that met the legal requirements for placement on home-hospital instruction. Therefore, the District did not deny Student FAPE as of the May 31, 2012, IEP team meeting for denying Student’s unsupported request. Issue III: Did the District deny Student a FAPE for the 2012-2013 SY by not providing him with home-hospital instruction and related services following an August 29, 2012 agreement, that it would do so? 23. Based on Factual Findings 42-78 and Legal Conclusions 1-5 and 22, Student met his burden to show that the District failed to implement home-hospital instruction and related services following the August 29, 2012, IEP amendment. As discussed above in the factual findings, the District failed to secure reliable and available service providers for Student. Even after the speech and language therapist was secured, only a fraction of the services Student was entitled to were delivered. There was no teaching for September and October 2012, and January and part of February 2013. The District also failed to have the teachers appropriately consult with the Student’s SDC teacher, Ms. Broumas, which resulted in a wholesale failure to implement the home-hospital teaching during the entire relevant period. The District ceased all services to Student in January 2013, and this lasted until February 13, 2013. Student was provided with less than three hours of speech and language therapy when he was entitled to an hour per week of speech and language therapy. Finally, Student’s OT consultation did not occur during many of the months and when it did occur, the occupational therapist did not consult with Student’s actual teacher at any point. Alone, each of these failures are not material. Together, the failures are material and result in a finding that the District denied Student FAPE from August 29, 2012, through March 28, 2013. 27. Based on Factual Findings 1-91 And Legal Conclusions 24-26, Student is entitled to compensatory education for the District’s denial of FAPE from March 29, 2012, through May 31, 2012, and September 10, 2012, through March 28, 2013. 28. However, Student’s failure to present supporting evidence regarding remedies places the ALJ in a difficult position. Student has proven by the weight of the evidence that he was denied a FAPE from March 29, 2012, through May 31, 2012, and from September 10, 2012, through March 28, 2013. The question here is how to devise a remedy given Student’s failure to provide an evidentiary basis to award reimbursement for the ABA services already provided or future placement with a non-public school or agency. The invoices provided for the ABA services were spotty and unclear and there was no testimony or documentary evidence regarding any non-public school or agency. The ALJ has reviewed the testimony of the witnesses and the documentary evidence presented at hearing. Applying the equitable principles discussed in Legal Conclusion 26, the ALJ finds it reasonable and equitable for the District to be ordered to provide Student compensatory services as detailed in the Factual Findings 79-91and the Order below. 29. Student has intensive needs and should have been provided services in the areas of functional skills, communication, OT, academics, and other areas as specified in the Factual Findings. Student’s compensatory needs can be met through in home ABA services, in home special education teaching, speech and language therapy and OT, both consultation and direct. The direct OT is to compensate Student for the OT services that should have been delivered via the teacher, speech therapist and Parents through consultation with the occupational therapist, which did not happen during the duration of the August 29, 2012, IEP amendment, save a few instances. 26 Any services that the District determined it was providing as make-up services for the services upon which this denial of FAPE has been determined were at the District’s own risk and will not be subtracted from this award as there was no evidence that any make up services the District provided were consistent with the requirements of the law or appropriately delivered to Student. 2. The District shall contract with the same ABA provider Parents contract with for the insurance based services, as long as the ABA provider is a California certified nonpublic agency for three hours a day a total of 167 days, plus all related supervisory hours and clinic hours. This can be in addition to the ABA services obtained and paid for through Parents’ insurance. Parents may decrease or cease insurance based ABA services during the time period that the District provides the services, but are under no obligation to do so. 3. The District shall provide one hour per day of home instruction from a credentialed special education teacher for 167 days. The District is instructed to contract with a non-public agency to provide these services immediately should the District not be able to locate a District, SELPA or another school district employee who can implement the services as outlined in this order. These hours can be combined during one week for a total of five hours per week for scheduling convenience, taking into account Student’s ability to manage the time periods. The teacher shall be available during the regular school day and shall be a properly credentialed special education teacher. If Parents want to take advantage of this service, Parents shall make student available during the regular school day. The District shall take into account Student’s ABA schedule and all parties will cooperate to find agreeable times for teaching during regular school hours. This teacher can provide some services at the same time as the ABA services to allow for consultation between the providers to ensure a more seamless program for Student. Nothing in this order prohibits the parties from mutually agreeing to provide the teaching services outside the school day, in the evening or on weekends. The home instruction teacher shall consult with Student’s SDC teacher. 4. The District will provide Student with 68 hours of speech and language therapy delivered individually for two hours per week in the home by District personnel or an NPA, at the District’s choice. 5. The District will provide 15 minutes per week of OT consult for 34 weeks and one hour a week of individual OT in the home for 34 weeks. This may be done by District staff or an NPA at the District’s choice. 6. These services are compensatory and do not end if Student moves out of the District or ages out of the District before the services are completed. Education Code section 56507, subdivision (d), requires that the hearing decision indicate the extent to which each party has prevailed on each issue heard and decided. Parent prevailed on issues one and three and the District prevailed on issue two.